Bowen and Bowen Limited, the official owners of the Coca-Cola franchise in Belize, are gearing up to host a historic visit of the FIFA World Cup Trophy. The much anticipated visit will take place on November 7th, but ahead of the arrival of one the most prized sport trophies in world, Bowen and Bowen is launching a month long promotional campaign. The campaign was launched on Monday October 7th and Bowen and Bowen are hoping that the tour will be a once- in- a- lifetime experience for Belize. This is the third time that the original FIFA World Cup Trophy is touring around the world. 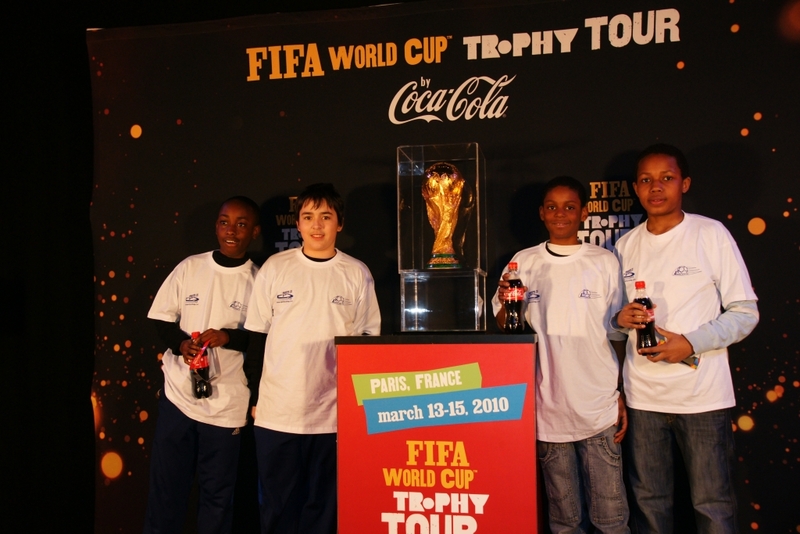 In 2006, the unprecedented tour visiting 31 cities in 28 countries over a three-month period which ran from January 7th to April 10th, before the FIFA World Cup in Germany. On the second occasion the tour visited 84 countries and 130 cities all over the world, including 50 African nations, in order to celebrate the first ever FIFA World Cup on African soil. The tour lasted from September 2009 to May 2010. 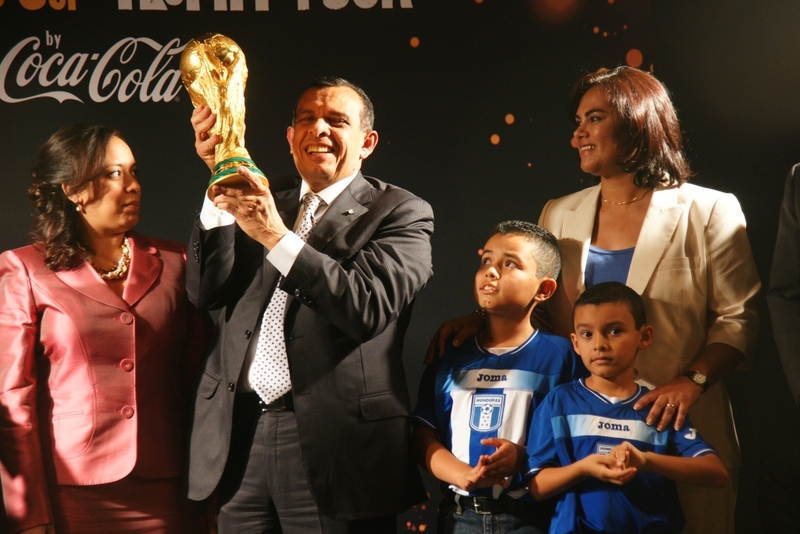 The 2013/2014 Trophy Tour will visit 88 countries during its 267-day duration and Belize is the last stop in North and Latin America before leaving to Europe and returning to Brazil ahead of the 2014 World Cup. It will be a historic occasion for Belize as well as for those who get to take pictures with the World Cup Trophy explained Minto. “What can be expected is a public/fan experience and will include a lot of ground breaking innovations. We plan to make it an unforgettable day for anyone who comes and participates. We will have trophy photo experiences, where you will be able to receive instant prints and we will also have online images with the trophy. These pictures that we plan on taking on the day of the event will be used in 2014 at the World Cup. 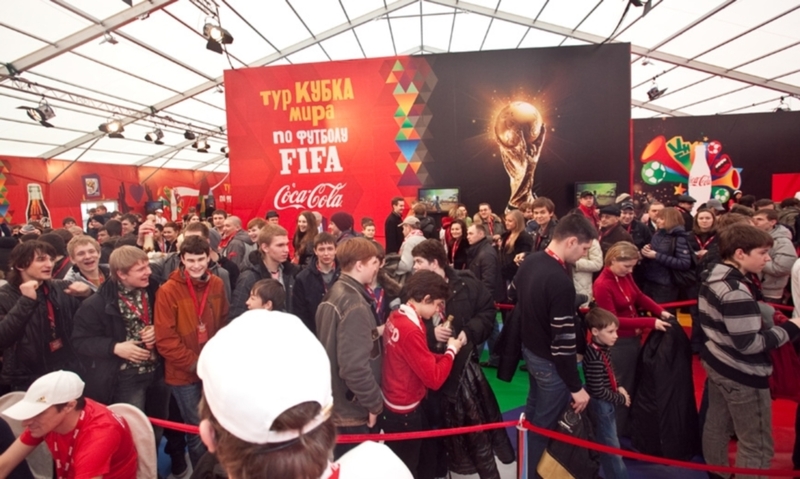 Coca-Cola’s fan pictures will be part of history because it will be blanketed on the field itself at the World Cup events.” According to Coca-Cola representatives in Belize, there will be a lot of marketing and promotions for an entire month leading up to the event. The trophy will leave El Salvador and arrive on a Coca-Cola private plane at the Philip Goldson International Airport at 9AM on November 7th, where the press will be invited to a conference immediately thereafter at the VIP room. Once the press conference is over, the trophy will be escorted to the Radisson Fort George Hotel for a consumer experience event. 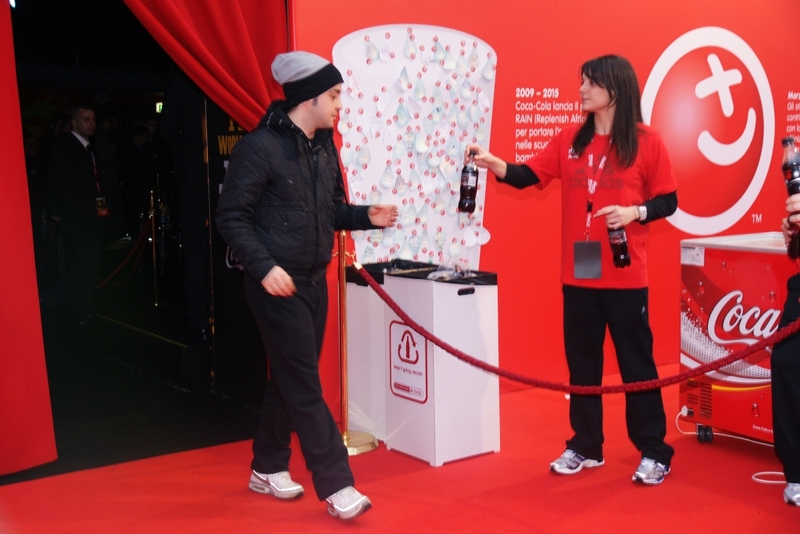 Lucky fans will be chosen via lottery to have their photos taken with the trophy and receive specially produced paraphernalia during the promotional period leading up to the event. Later that evening, a VIP event will be hosted at the Baymen’s Tavern’s pool and Stone Grill garden area of the Radisson Fort George. Governor General Sir Colville Young, as Head of State, will be the only one allowed to touch the trophy. He will do so during the official ceremony that evening. The tour started in Brazil on September 9th and continues through Central America and the Caribbean through November 7th. Following its 24-hour stop in Belize, the trophy will leave to Israel where it will tour Europe, Africa, the Middle East and Asia. The total distance covered during the tour will be 92,942.702 miles (more than three times the circumference of the earth) and will culminate when it returns to Brazil in late April 2014, in time for the start of the World Cup.